It would seem that the last thing you need when a loved one passes is legal trouble. Unfortunately, disputes regarding a will and testament occur in many instances of recent death. However, the increased unpleasantness shouldn’t prevent you from taking action if you believe you have a strong case. What you can do here really depends on what the specific problem you have is. Lawyers and executors can only do so much, after all. Every estate is different, so how a particular problem has to be tackled will vary greatly. But a lawyer is certainly who you need to be speaking to. A lawyer can help you through the contesting process. Whatever the case, you are legally entitled to ask for information from the executor about the estate. But you should understand that the information the executor has about the creation of the will isn’t always complete. When a will is contested, what gets investigated? Such a circumstance is a serious one and should be investigated thoroughly. Some of the investigations that are called for can be relatively straightforward. For example, vital information might be obtained by reviewing medical records or financial records. Information from any solicitors who worked with the deceased may also prove invaluable. What proves much more difficult is an investigation into the circumstances of the creation of the will. There are, of course, several different types of will. The type will depend on age or other legal statuses. Some of these wills require a witness in order to be valid. In which case, the witness may have final say on what occurred. However, there is the chance that the witness is unreliable or untrustworthy. If they are the target of a dispute, then things get even more complex. Investigators will do their best to find out more about the particular circumstances. But the amount of information they’ll be able to get may be understandably limited. It’s not often that families and loved ones actually see the will. 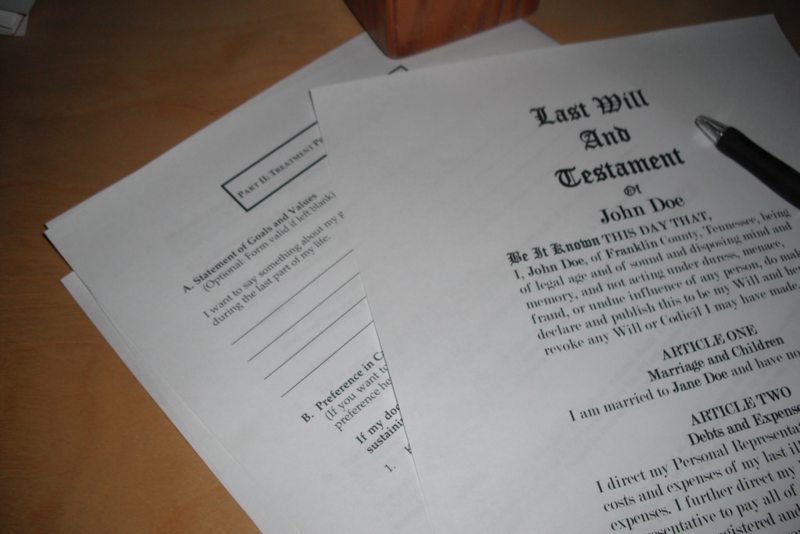 The will is often handled solely by the executor of the estate. They have been trusted with the will and will pull any information you need from that. In some circumstances, however, someone may feel that they need to see the will in order to verify certain facts. Problems may emerge if the executor declines your request to see the will, something they are certainly allowed to do. If the executor won’t provide the will, then there are steps you can take. If you contact the Probate Registry, you may be able to get a “search” going. If this process is successful, the will becomes a public document instead of a private one. In other words, it may become a public probate record. This will give you a stronger legal entitlement to see it. When one person in a married couple dies without having made a will, most assets will be left with the partner. This is compliant with intestacy laws that come into place when a will hasn’t been created. (If there are children over the age of eighteen, then things will be different. The “next of kin”, after all, may change at that point.) But what if you and your partner weren’t married in such a circumstance? The best thing you can do is try to get legally recognised as a common-law partner. In some cases, you may have to prove that you and your partner lived together for at least twelve months. However, if there is sufficient proof of a stable, long-term relationship? Then having lived together may not be a requirement. Hopefully, in such a circumstance, the deceased’s family will be willing to work with you. But even in decades-spanning, deeply loving relationships, people may not get on with the partner’s family! You may need to take further steps towards a recognition of common-law partnership if this is the case. Most wills will see the vast majority of assets go to family members. This is fair enough in most circumstances. But what if you have legitimate reason to believe that the beneficiary in question isn’t actually related by blood to the deceased? Many people believe that this can only be effectively contested if the beneficiary is (apparently) a son or daughter of the deceased. But any family member who may not actually be consanguine with everyone else could see their share contested. Of course, it may be the case that you believe you are related to the deceased and so are entitled to a share of the estate. In either case, the court will want to see some hard evidence. In the first case, this can be tricky. However, a strongly presented case may result in legal compulsion. In the latter case, you would presumably be willing to get a paternity test done as soon as possible. If a test is on the horizon, you should be sure to check out a paternity test price comparison. There are many instances in which a will may not be seen as valid. Much of this will boil down to disputes about its creation. Are you familiar with the phrase “being of sound mind and body”? It’s a phrase made famous in many notable wills, as well as in films and television. It isn’t actually a legal requirement for you to write this in your will. However, the sentiment still has some importance and a lot of legal weight. If you have any reason to believe that the will was created while the subject wasn’t in a lucid state of mind? Then you may have a strong legal case. There will need to be strong reason for you to believe this, though. Evidence will come in extremely helpful. There are some other problems that may be a little trickier to prove. There are cases in which the person who made a given will was actually pressured or coerced into doing so. In such a case, any of the terms could be rendered invalid.